a Bus Rapid Transit (BRT) Blue Bus having a place with Primero Transport Service while crossing the vehicles' passageway in Lagos. The woman was pounded by the transport and, tragically, she kicked the bucket immediately. The incident occurred around 1pm a short distance from Irawo Bus Stop, Ajegunle along Mile 12/Ikorodu Road. 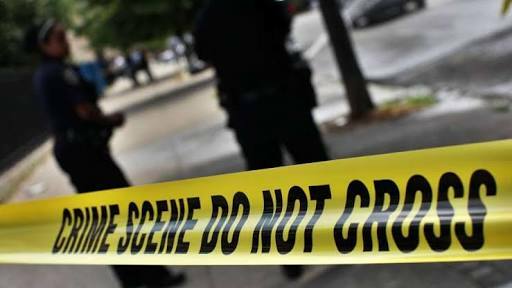 An eye witness said the lady who was pregnant and lived along Thomas Street, Irawo was attempting to cross the corridor to see her sister who lives on the other side of the express road. It was gathered that the lady was to be married this weekend. 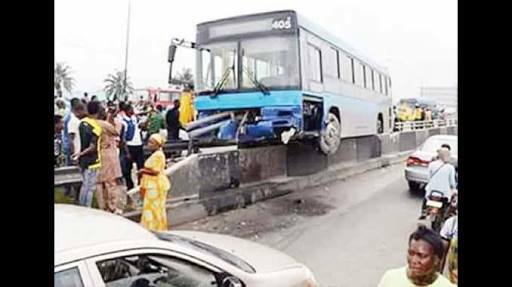 Eye witnesses said that the lady, without looking at the two sides of the corridor, ran into the bus which was coming from Ikorodu and going towards Lagos. It was gathered that the bus driver ran to Irawo Police Station and reported the incident. Irate youths in the area however attacked the bus and vandalized the vehicle, shattering its windscreen and windows. The incident caused confusion and traffic hold-up on the expressway as vehicle owners made frantic efforts to get away from the trouble spot. Police from Irawo police Station moved in and succeeded in dispersing the crowd and brought the driver of the bus into custody while the bus was driven to their station. As a result of the incident, other Blue Buses coming from Ikorodu had to discharge their passengers at Ajegunle while those coming from Palm Groove end of the express road discharged theirs at Mile 12 to prevent the vehicles from being vandalized.